In his foreword to Sand County Almanac, Aldo Leopold wrote, “There are some who can live without wild things, and some who cannot.” He continues, explaining that his essays “are the delights and dilemmas of one who cannot” (p.xvii). Today, our industrialized and highly technical society has many people living without wild things. Indeed, far fewer people hunt than don’t, so how is it possible to make the case that hunting makes us human? While only about 6 percent of the American population hunts each year, the majority of the American public supports hunting even if they don’t personally participate, with about 79 percent of adult Americans nationwide indicating they approve of legal hunting. Furthermore, the inventions of agriculture, government, and technology have made hunting for food generally unnecessary for nearly every single person. It seems counterintuitive that hunting, an activity in which so little of the population participates and that which is no longer critical to survival, would enjoy such widespread, contemporary approval. Nonetheless, social science research clearly confirms this support. We argue that it is only when we view these modern opinions on hunting through the lens of the past that the apparent contradiction between low participation and high approval makes sense. We must examine today’s attitudes in an evolutionary context to begin to understand how hunting is inextricably part of who we are today, part of what makes us human. Without detailing the specifics or debating the issue, most of us can probably agree that humans were once a species whose very existence depended upon the ability to hunt (as well as to gather). Prior to the development of farming and agriculture, hunting was an activity intended exclusively to obtain meat for the tribe, group, village, or family. The hunters in the group were primarily males who would pass the ability to survive on to the next generation by taking them hunting. Each of these aspects of hunting remains prominent among hunters today. 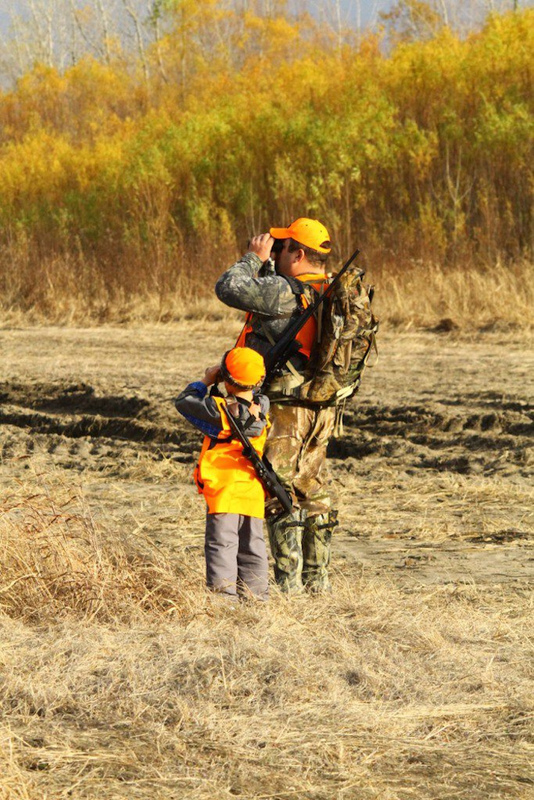 Hunting today is still predominantly a male activity: 91 percent of hunters are male. Research also consistently shows that it takes a hunter to make a hunter, meaning almost all hunters today were initiated into hunting by another hunter, usually by a father or father figure. Today there are many motivations for hunting, including hunting for food, recreation, sport, and social reasons. However, hunting for the meat is a motivation that has persisted well beyond its necessity in the United States. In fact, in recent years hunting for the meat has even increased in importance, with the percentage of hunters who hunt for the meat increasing from 16 percent in 2006 to 35 percent (and the top reason) in 2013. [6, 7] Although the top motivation currently is hunting for the meat, hunting to be with family and friends is also commonly cited. This second motivation emphasizes hunting’s historical relationship with the group: hunting was almost always a group activity and hunters in the group would pass on the knowledge of and participation in the activity to the next generation to ensure survival. 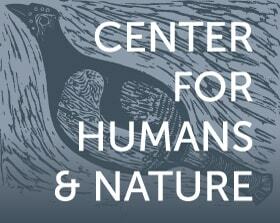 Another consideration for how hunting makes us human is the way in which the general population relates to hunting. As we previously indicated, the majority of the American public (79 percent) approves of legal hunting. Furthermore, about eight in ten adult Americans also say it is important to them that people have the opportunity to hunt, even if they do not personally participate. Clearly, whether participating or not, hunting is still viewed as a meaningful or valuable human activity. The value of hunting, however, is not unconditional. Public support of hunting varies based on multiple factors, including species hunted, motivations, and methods. These variations in support can again be understood in relation to the historical role of hunting as a necessity. When asked about approval or disapproval of hunting for various species, adult Americans are much more likely to approve of hunting for those species traditionally hunted for food in hunter-gatherer societies, such as deer (78 percent approve of hunting for deer), wild turkey (75 percent), and small game (71 percent). However, support drops with some of the species that posed a higher threat to humans, were more difficult to kill, and were not the type of meat typically consumed, such as black bear (47 percent) and mountain lion (42 percent). Note that the latter cases with less approval also happen to be cases that anti-hunting and animal rights groups such as PETA and In Defense of Animals tend to attack. It is easier to sway public opinion in their favor because those species are not the ones around which hunting for sustenance evolved. Browsing any number of the many hunting and outdoor magazines in your local bookstore reveals that hunting for a trophy receives the most attention in the media. Yet only about 1 percent of hunters indicate that their primary motivation to hunt is for a trophy. As we mentioned above, today’s hunters most commonly hunt for the meat, like their ancestors, which is a motivation that does have public support. Interestingly, hunting for a trophy is, in general, opposed by a majority of the public. The highest levels of public support for hunting occur when we ask specifically about hunting for reasons related to historic hunting for survival: 85 percent of adult Americans approve of hunting for the meat and 85 percent approve of hunting to protect humans from harm. While majorities also support hunting for reasons related to wildlife management and animal control, approval starts to drop dramatically for reasons not related to survival, such as for sport (53 percent approve of hunting for this reason), to supplement income (44 percent), for the challenge (40 percent), and for a trophy (28 percent). Opposition to hunting also grows when the method used diverges from our basic means of hunting and becomes too modernized or technological to the point of challenging the concept of fair chase, such as hunting using high-tech gear like cameras and hearing devices (69 percent of adult Americans oppose this type of hunting), hunting in a high-fence preserve (67 percent oppose), and hunting over bait (59 percent) or special scents to attract game (50 percent). As the variations in public support for hunting demonstrate, humans are concerned about hunter behavior, with the perceived ethical reasons for and methods of hunting being connected to the historical role of hunting in humanity’s survival and development. We should be concerned that many public and media depictions of hunting so often ignore these basic and historical aspects of hunting in favor of emphasizing what only a minority of American hunters do, that is, hunt for a trophy. Hunter ethics is critical not only to public support of hunting, but to the hunters, connecting us to questions of why we hunt in the first place and who we are as humans. An emphasis on hunting for a trophy has also affected the understanding of and support for hunting globally. We already know hunting enjoys high levels of support in the United States, but what about in other countries and cultures? Just to share a few examples, research has shown high levels of support for hunting in Sweden (80 percent of the public supports hunting in general) but much lower public support in places like Germany (85 percent oppose hunting) and Italy, where 72 percent were in favor of a nationwide ban on hunting. [16, 17, 18] However, in many areas around the globe, hunting for a trophy or sport is highly publicized, forming the foundation of the primary public image or perception of hunting. When research goes a bit deeper, we often find that public approval or acceptance of hunting increases when it is connected to humans’ primal reasons for hunting and follows the same basic human understanding of hunter ethics. In Sweden, where support is already high, for example, there is also a higher frequency of game-meat consumption comparable to that in the United States. In Germany, where public opposition to hunting in general is so high, further research found that, as in America, the rate of positive attitudes toward hunting is actually fairly high when respondents are asked about hunting activities that are described in conjunction with perceived ethical behavior: 86 percent of Germans agree that hunting is part of the human heritage, 82 percent agree hunters have to regulate wildlife populations, 82 percent agree hunters do not hunt because they like killing, 76 percent agree hunters are conservationists, and 70 percent agree hunters do not go hunting to show off a trophy. So does hunting make us human? Hunting was integral to our survival, and although it is no longer necessary to our survival we still participate in it, still support it, and insist that it be carried out in much the same manner as it was in prehistoric times. To echo Leopold once more, some can live without wild things, and some cannot. But whether we live with or without hunting today, we seem to have an innate understanding that connects our participation in, opinions on, and attitudes toward hunting to its critical role in our history, an understanding that persists despite significant historical, societal, and environmental changes. It is this persistence that convinces us as social researchers that hunting is, indeed, part of who we are. Leopold, A. (1949/1970). A Sand County almanac. New York: Ballantine. U.S. Department of the Interior, U.S. Fish and Wildlife Service, and U.S. Department of Commerce, U.S. Census Bureau. (2012). 2011 national survey of fishing, hunting, and wildlife-associated recreation. Responsive Management. (2013). Nationwide survey of hunters regarding participation in and motivations for hunting. Harrisonburg, VA.
 Duda, M. D., Jones, M. F., & Criscione, A. (2010). The sportsman’s voice: Hunting and fishing in America. State College, PA: Venture. Responsive Management / National Shooting Sports Foundation. (2008). The future of hunting and the shooting sports: Research-based recruitment and retention strategies. Produced for the U.S. Fish and Wildlife Service under Grant Agreement CT-M-6-0. Harrisonburg, VA.
 Heberlien, T. A. (2003). Data presented at the XXVIth International Congress of the International Union of Game Biologists. Portugal. Kellert, Stephen R. (1993). Attitudes, knowledge, and behavior toward wildlife among the industrial superpowers: United States, Japan, and Germany. Journal of Social Issues 49 (1):53-72. Berati, M. (2004). Cosa pensano gli italiani della caccia. Report: 1-4. Caccia al cacciatore. Eriksson, P. Hunting acceptance in relation to motivation, location and game meat consumption. Department of Wildlife, Fish and Environmental Studies, SLU, Umeå University. Sample Institute, Moelin (1989). Data presented at A Workshop for the World Forum on the Future of Sport Shooting Activities. Rome, Italy. June, 2012. Andrea is a Senior Research Associate with Responsive Management. She is co?author, with Mark Damian Duda and Martin F. Jones, of the 2010 book The Sportsman’s Voice: Hunting and Fishing in America. Mark Damian Duda is the Executive Director of Responsive Management, a survey research firm specializing in natural resource, hunting and fishing, and outdoor recreation issues. Duda holds a master’s degree with an emphasis on natural resource policy and planning from Yale University, where he was awarded two academic scholarships.